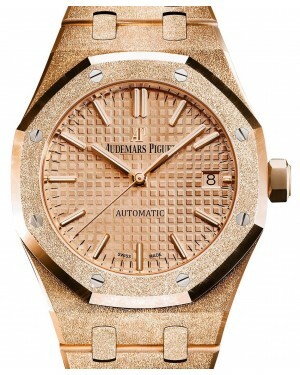 Founded in 1875 and remaining in the hands of its founding family, Audemars Piguet is famous for developing highly fashionable luxury timepieces. 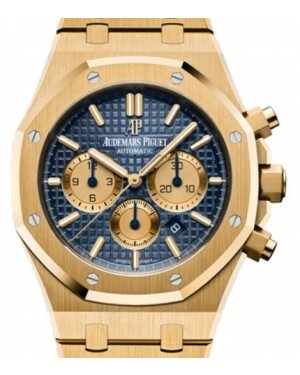 Widely regarded as one of the most prestigious brands in the world, the company is especially well known for creating the Royal Oak, which has emerged as Audemars Piguet's flagship model. When it was introduced in 1972, it was the world's first luxury timepiece to be constructed from stainless steel, marking a significant development in the art of watch-making. 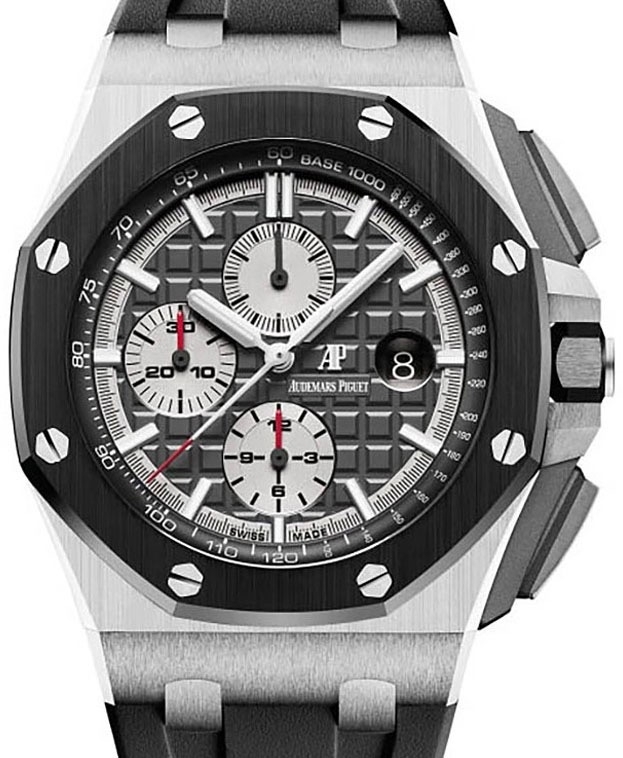 AP has been at the forefront of innovation for almost the entire duration of its history, introducing a number of world firsts across the decades. 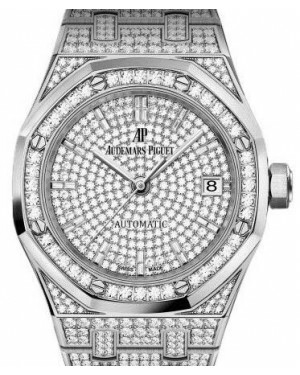 Founded in 1875, Audemars Piguet is widely considered to be one of the top wristwatch manufacturers in the world and the Swiss company is especially well-known for its avant garde aesthetics. 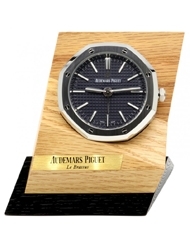 The business was created by Jules-Louis Audemars and Edward-Auguste Piguet; two gifted Swiss craftsmen who attended the same school. 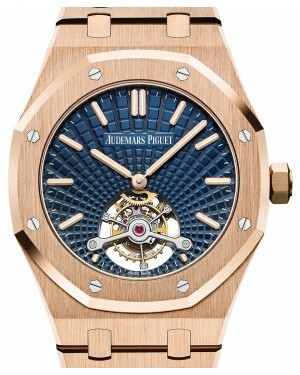 Both Audemars and Piguet became interested in developing complex mechanisms for use in highly technical timepieces and this set the company on its path to excellence within the field of haute horology. 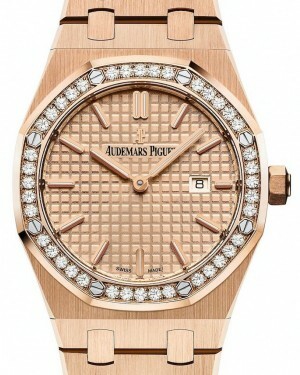 Today, more than 140 years on, Audemars Piguet remains in the ownership of its two founding families. 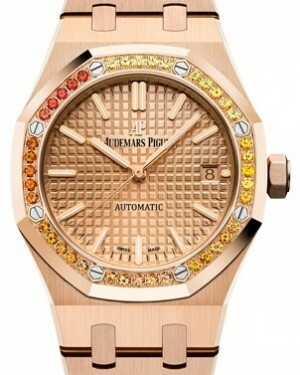 As a business, Audemars Piguet has been involved in the production of wristwatches since around 1893. However, in the early 20th century, the company enjoyed greater success producing highly advanced fob watches, such as its Grande Complication collection, launched in 1915, which featured a perpetual calendar and minute repeater. Nevertheless, in 1893, AP created the world's first wrist minute repeater and in 1921, the manufacturer made history again with the first ever jumping hour wristwatch, which used a calibre HPVM10 movement. 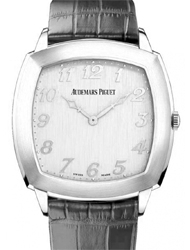 However, the Wall Street Crash and resulting Great Depression threatened the very existence of the company and although AP created a skeleton watch in 1934, leaving the parts visible through the dial, sales were far from strong. 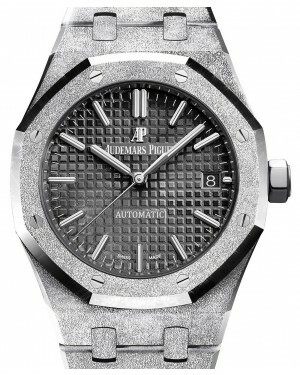 Following the end of World War II, the luxury watch market began to pick up again and in 1954, AP continued to innovate with their Reference 5516 watch. 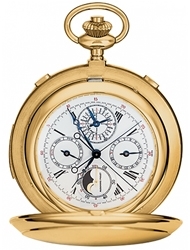 This model was the first wristwatch in the world to feature a perpetual calendar with a leap year indicator. 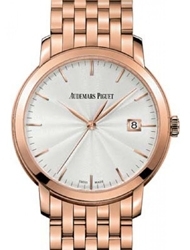 Then, in 1967, the company invented the world's thinnest automatic movement. 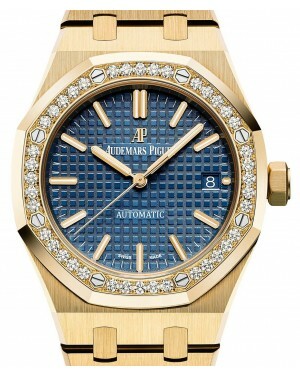 Audemars Piguet's continued success in the second half of the 20th century and in the early 21st century was largely thanks to the introduction of its revolutionary Royal Oak collection. 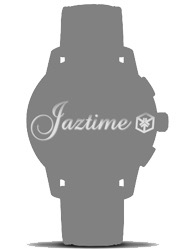 Originally launched in 1972, it became the first luxury sports watch with a steel case and is characterised by its rounded octagonal case shape. 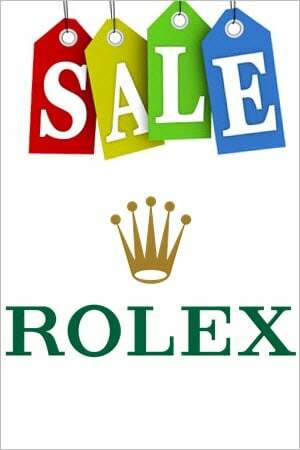 Initially, there was a great deal of concern over whether or not people would be willing to pay high prices for a steel wristwatch. 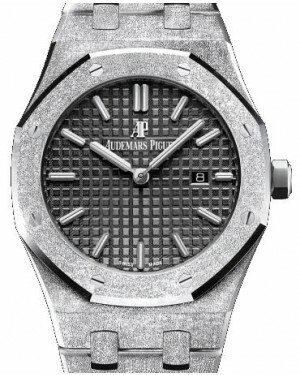 For this reason, the release of the Royal Oak collection was slow, with only 1,000 models being released at the start. 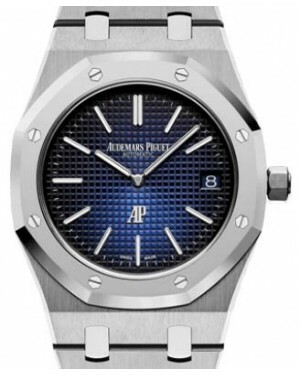 Today, these original models, which are identifiable by the positioning of the AP initials above the 6 o'clock position, are extremely valuable and sought after by luxury watch collectors. 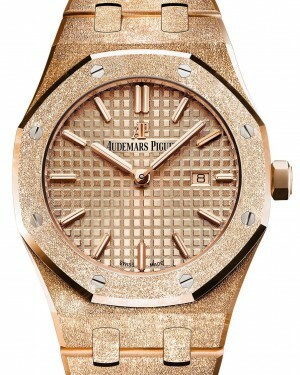 Despite the company's concerns, the Royal Oak became a success, due in no small part to the quality of the craftsmanship. 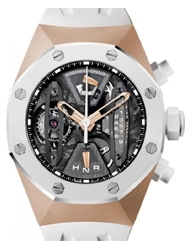 In the mid 1980s, new complications such as a perpetual calendar and a lunar phase indicator were added to the Royal Oak and in 1992, the extreme sport version, the Royal Oak Offshore, was released. 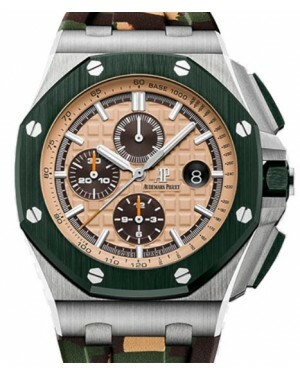 The Royal Oak Offshore became one of the brand's most successful models and was defined by its oversized 42mm case. 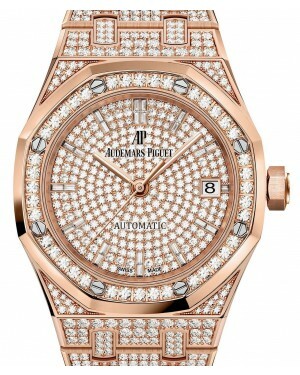 Despite the evolution of the collection, with increasingly sophisticated complications, the Ref. 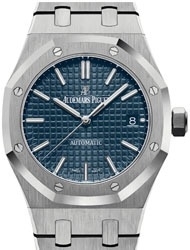 15202 remains one of the most appreciated models and this is the closest design to the original Royal Oak. 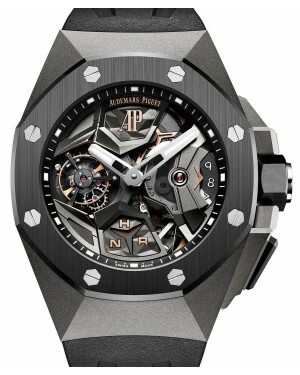 Today, it is estimated that Royal Oak models make up in excess of 40 percent of all Audemars Piguet sales. 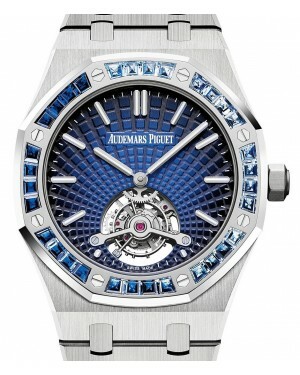 Following on from the success of the Royal Oak Collection, Audemars Piguet introduced another of its most recognisable collections, the AP Millenary. This particular watch is powered by a self-winding calibre movement and is aesthetically defined by its round and almost pebble-like case shape. 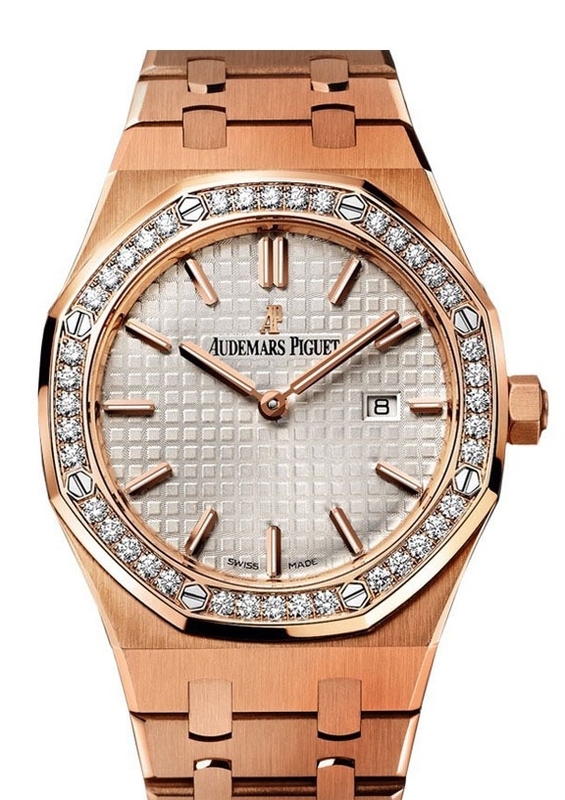 Many of the models feature unconventional dial elements. For instance, some feature dials with inconsistent number sizes, while others have dials that are off-centre. These help to give the Millenary collection a distinctly modern appeal, while also adding a sense of character at the same time. 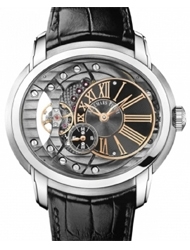 In 2009, a limited edition version of the Millenary was released. Known as the Millenary Pianoforte, it had a unique musical theme, with piano keys surrounding the dial. This particular model had a 45mm case, which was constructed from 18k white gold and only around 500 of the timepieces were ever released to the public. 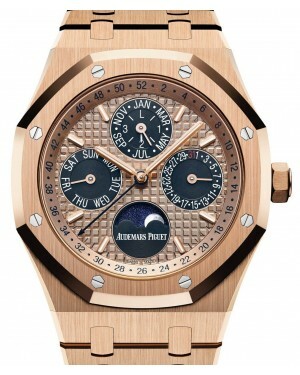 Beginning in 1999, Audemars Piguet began to slowly introduce its Tradition of Excellent Collection - a collection of eight highly-complex, limited edition models, with only 20 of each model being released. Each of the models has been designed to embrace tradition while simultaneously pushing the boundaries of watch-making, from platinum cases to advanced complications like a linear read perpetual calendar. 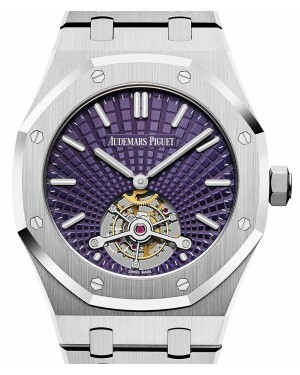 Meanwhile, two collections within the Audemars Piguet catalogue pay tribute to the company's founding fathers - the Audemars Piguet Jules Audemars and the Audemars Piguet Edward Piguet. The former embraces the company's traditions and features a round case shape providing an ideal combination of classic aesthetic appeal and comfort. 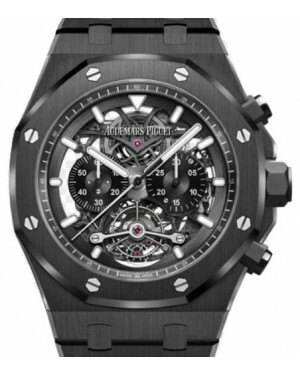 On the other hand, the latter collection features a rectangular case shape and celebrates the company's watch-making prowess, with Chronograph, Tourbillon and Skeleton options available. 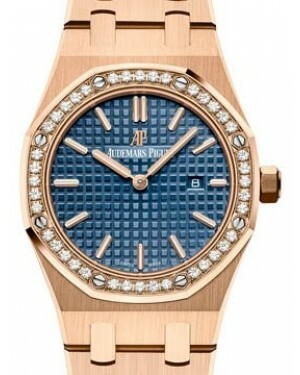 Finally, in 2004, the manufacturer introduced both the Audemars Piguet Danae and Audemars Piguet Deva collections, which are aimed at the female demographic. The Danae collection pays homage to a very early AP model from 1919, with the dial concealed by a diamond-bejewelled cover. 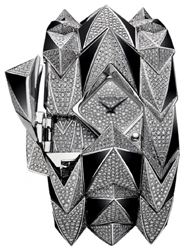 The Deva has a slightly more conventional appearance, with a square case, which is decorated with more than 300 diamonds of its own.